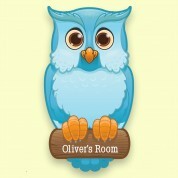 Bespsoke Little Boys Blue Owl Bedroom Door Plaque. Any Name. Every little boy loves to see his name on the bedroom door. 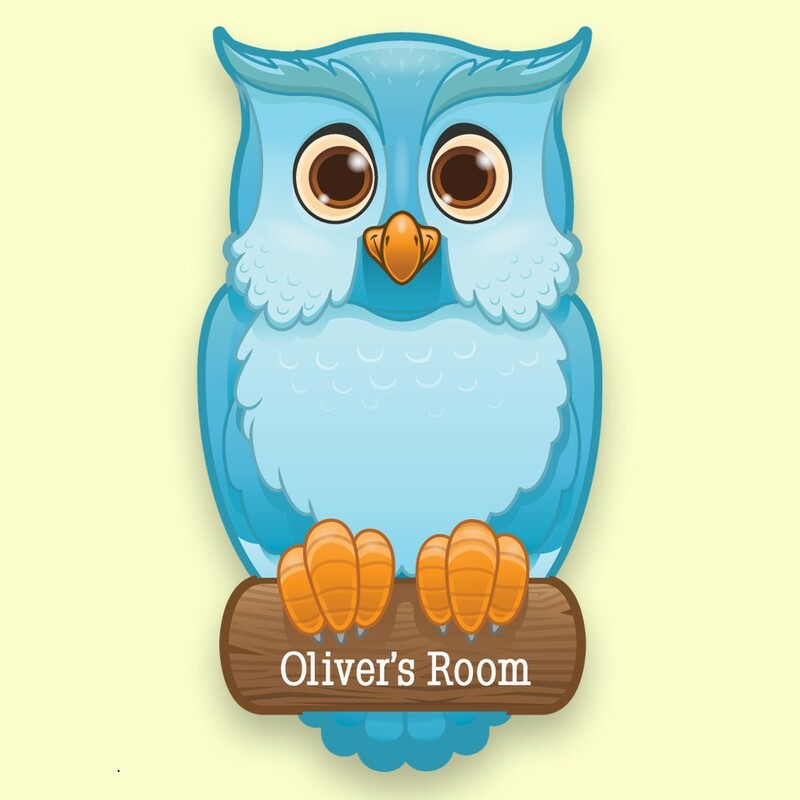 This popular Blue Owl design can be printed with any first name (up to 12 characters). Designed by Forever Bespoke, printed and laser cut "In House" and supplied with sticky pads as an option for mounting. The door plaque is made from 3mm opal perspex with the design UV printed.